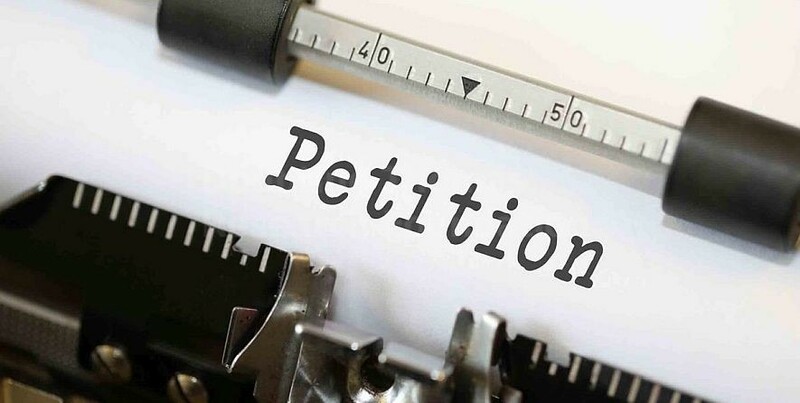 The Doubting Thomas Research Foundation is gravely concerned about construction potentially damaging the sites in Saudi Arabia allegedly related to the Exodus account and has put together this petition in the hopes of protecting Mount Sinai. We are also calling on the Saudi government to grant access to the sites to outside researchers and visitors with responsible monitoring. The parameters of the NEOM project include Jabal Maqla, which we currently consider to be the most credible candidate for Mount Sinai, as well as the other sites potentially linked to the Exodus story. Archaeological finds, found and unfound, are at risk of being damaged or destroyed by the massive construction project. Increased habitation and visits by Saudis and non-Saudis also poses risks to the area. In addition, the construction plans as currently proposed would ruin the scenery around these sites. It is essential that the isolated, desert environment around Jabal Maqla be preserved so visitors can envision the Exodus events taking place. The below petition calls on the United States State Department and the Kingdom of Saudi Arabia to officially work towards preserving the sites and granting safe access to outside researchers and visitors. It also asks the U.S. and Saudi government to request that the United Nations Educational, Scientific and Cultural Organization (UNESCO) add Jabal Maqla, the plains in the front of the mountain and other sites allegedly associated with Moses and the Exodus story to the list of World Heritage sites so they can be preserved. The Doubting Thomas Research Foundation is confident that these sites meet several of the 10 “Criteria for the Assessment of Outstanding Universal Value” listed in the Operational Guidelines for the Implementation of the World Heritage Convention, adopted July 12, 2017. There is a significant body of evidence supporting the theory that Jabal Maqla, a mountain in northwestern Saudi Arabia, is Mount Sinai. Various sites in this area are alleged to be linked to Moses and the story of the Exodus and we expect more to be identified. The Doubting Thomas Research Foundation is greatly concerned about the possibility that Saudi Arabia’s Neom project to construct a super-city in northwestern Saudi Arabia will cause damage to the sites potentially related to the Exodus; accidentally destroy archaeological evidence and prevent excavation and research. We also are concerned about construction and tourism possibly ruining the areas surrounding these sites that allow visitors to powerfully envision the Exodus right before their eyes. We also want the Saudi government to grant safe access to these sites for outside researchers and select visitors, including those affiliated with the Doubting Thomas Research Foundation. We believe that significant public pressure is likely to compel the Saudis to modify their plans so the sites can be preserved. We seek the designation of these places as UNESCO World Heritage sites. We, the undersigned, call upon the governments of the United States and the Kingdom of Saudi Arabia to officially collaborate in preserving important historical and religious sites allegedly related to Moses and the story of the Exodus, as well as the scenery and environments around them. We urge the United Nations, Educational, Scientific and Cultural Organization to designate these areas as World Heritage sites. We believe they clearly meet the established criteria. We are gravely concerned that Saudi Arabia’s Neom project to construct a super-city will result in damage to these sites, accidental destruction of archaeological evidence, and inhibit future excavation and research. We are also concerned about construction and habitation, including businesses and tourism, will ruin the scenery near the sites and prevent visitors from appreciating the experience of envisioning the Exodus events where they stand. •	Anywhere else where alleged proto-Hebrew inscriptions potentially linked to the story of Moses and the Exodus are found. In addition, we strongly encourage the Kingdom of Saudi Arabia to grant safe access to these sites for interested outsiders, including those affiliated with the Doubting Thomas Research Foundation, in order to facilitate research and education. We also point out that accepting our requests would benefit the Kingdom of Saudi Arabia enormously. It would make the area one of the world’s top tourist destinations, contribute to positive interfaith relations and improve the image of Saudi Arabia to the outside world. If God wants it preserved there is no way the Saudi’s will be able to build this city. Perhaps during construction God may use this to discover and unveil more of his wonders than not disturbing the site. God always works through peoples prayers and actions to stop a matter of concern. Examples are all throughout the Bible. Even just the Exodus story. I believe that JABAL AL LAWZ is the REAL MOUNT SINAI and I know in my heart that GOD has preserved this site for 3500 years and HE is not going to let any man built structures come in the way and destroy the site that HE ALONE has preserved for future generations to see and know that our GOD came down in thunder and fire when Moses led the captivity out of Egypt after destroying the gods of Egypt and the might of the Pharaoh! Prayer moves mountains and will pray for GOD to continue to protect HIS MOUNTAIN! I am but a fleeting presence in this world. I have read The Book. It is all consumed in the fire at the end. They can never destroy the truth of it. We need not physical proof! We have GOD’s word written by Moses, the prophets, and the Apostles. Luke 16: 27Then he said, I pray thee therefore, father, that thou wouldest send him to my father’s house: 28For I have five brethren; that he may testify unto them, lest they also come into this place of torment. 29Abraham saith unto him, They have Moses and the prophets; let them hear them. 30And he said, Nay, father Abraham: but if one went unto them from the dead, they will repent. 31And he said unto him, If they hear not Moses and the prophets, neither will they be persuaded, though one rose from the dead. Fascinating documentary. Very compelling. Thank you. The more people that become aware of this, the more prayers there will be to save this spot for the people of the world. Let’s spread the word. Allah swt I love you so much! Thank you for everything!! I am a Pastor and was privileged to go visit Israel. I appreciated your great pics and vids of Araibia. I am blessed by God’s protection of these findings until know through the Saudis. I am sure God wants us to worship Him and not the geographical sites that are very encouraging to believers. I would not like to see happen in Arabia what happened in Israel. Under a ploy of “preservation” in became “ruination” due many times to man’s greedy hands. “May the fire ? that burned on Sinai in the bush, and etched God’s Word in stone, and led the people to and across the Red Sea burn in the hearts of the Jew, the Arab, The Christian and all the remaining people groups in the world!”! “And In will”! Let’s again begin to call on the name of the Lord. Gen 4:26. Thank you for your encouraging work. Scripture says that Mt. Sinai is in Arabia. See Galations 4:25. Its no secret to those that believe.